Paris Gare de Lyon is located in the 12th district of Paris, trains serve not only some French cities (like Lyon, Grenoble, Montpellier, Dijon, Aix-en-Provence, Toulon, Nice...), but also European cities (trains go to Italy, Switzerland, Spain). You have also the transilien network (between Paris and its suburbs) which goes through Paris gare de Lyon towards Montargis (south-est of Paris, Loiret Department) by the transilien line R.
How to go to Paris Gare de Lyon train station from Charles de gaulle airport or Orly airport? *The Cars Air France line 4 goes from/to the Charles de Gaulle airport (terminus 1 and 2) to/from Gare Montparnasse train station by Paris gare de Lyon. The line 4 runs every 30 minutes. The cost is 16.5€ one way, 27€ round trip and 8€ for children (2 to 11 years old). *You can take the metro or RER, it will be cheaper however you will have some connections to do. Connections between Paris Gare de Lyon train station and subway and train? The subways line 1 (Chateau de vincennes<---> la Défense) and line 14 (Saint-Lazare <--->Olympiades) go by the Gare de Lyon (Gare de Lyon station). You can catch the RER (lines A and D), both have a station close to the gare (Gare de Lyon station). For the RER A (for one way), the week-end you have 12 trains per hour, and for the week from 18 to 30 trains depending on rush hours. For the evening, you have around 8 trains per hour. For the RER D (for one way), the week until saturday it reaches 12 to 16 trains (per hour) in rush hours, and least half in off-peak hours. On sunday and evening until 4 trains per hour. As well as some bus line. What ticket can I use to go to Paris Gare de Lyon train station? With the metro, a single ticket t+ (1.70€) is sufficient. The Gare de Lyon is located in zone 1 of Paris, so the rate is depending on your pass, the place you are coming from, the transportation you use. The Paris Gare de Lyon is equipped with wireless connections (wifi) and is opened every day (even for holidays days) from 4h45am to 1:30am. The Paris arrondissement map shows the 20 Paris districts. This map presents some of the most famous place. The 11th is where you can visit the ''Bastille'' as well as, the ''Musée Edith Piaf''. You can visit the ''Butte aux cailles'' as well as the ''Petite Asie'' (Asian place) in the 13th. The 15th is where you can visit the ''Tour Montparnasse'', la ''Porte de Versailles''..., the ''Gare Montparnasse'' is straddled between the 14th and 15th arrondissements, like illustrated in the Paris arrondissement map. The 16th Paris distrit is where you can find the well-known Paris tourist attraction the ''Trocadéro'', you can see a picture of the Palais du Trocadéro, here are also located the Parc des Princes (it's the third biggest stadium in France), as well as the ''Musée de l'homme''. In the 20th Paris district, which is located North-East of Paris, you can visit the ''Parc de Belleville'' or ''the Cimetière du Père Lachaise'', like illustrated on the Paris arrondissment map. This Paris arrondissement map indicates not only the 20 Paris districts but also some of the most famous place on those arrondissements. The Paris districts form a clockwise spiral around the first districts. 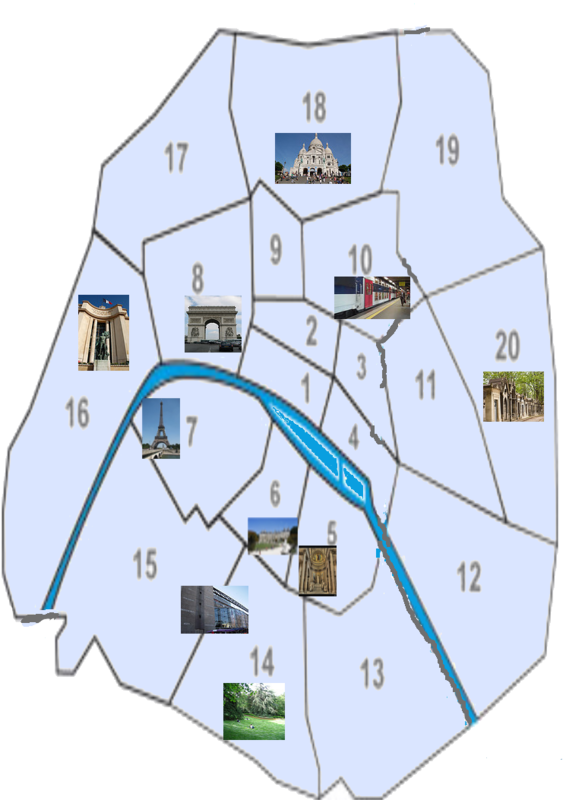 The eighth is where you can admire the ''Arc de Triomphe'', the ''Place de la Concorde'', the ''Palais de l'Elysée''....On the Paris arrondissement map, it's included a ''Arc de Triomphe'' picture, which should not be confused with the ''Arc de Triomphe du Carrousel'' in the first arrondissement. The ''Opéra Garnier'', the ''Galeries Lafayette'' are located in the 9th arrondissement. In this Paris arrondissement map, you can see the ''Gare du Nord'' and ''Gare de l'Est'', both located in the 10th arrondissement. Here is a map of Orlyval and its connection with the RER B.
Orlyval is a metro which allows you to go from/to Orly-- to/from Paris. The yellow-grey line represents the trajectory, Orly south, Orly west, and the terminus ''Antony''. The train runs every 4-7 minutes. -from/to Saint-Rémy-lès-Chevreuse-----> to/ from Roissy Aéroport Charles de Gaulle. -from/to Saint-Rémy-lès-Chevreuse-----> to/ from Mitry-Claye. Between Antony and Mitry-Claye stations or Antony and Roissy Aéroport Charles de Gaulle stations, you reach Paris. You have different stations in Paris, from Cité universitaire to Gare du Nord, indicated on the rectangle. The RER B is also the only train connecting to Orlyval. If you want to go from Orly to Paris by train you can either choose the RER C or the RER B. If you choose this option, you will travel by the Orlyval + RER B. You need to buy a ''billet accès aéroport'' whose cost is 10.25€ (adults) and 5.10€ (children from 4 to 10). This price includes the Orlyval and the RER B. The ticket Orlyval alone is 7.90€ (adults) and 3.95€ (children from 4 to 10) on July 1st, 2010. The Orlyval leaves Orly south at the entrance K and Orly west at the entrance A arrival level, the trip lasts 8 minutes until Antony RER station. From there you can catch the RER B train direction Mitry-claye or Aéroport Charles de Gaulle to Paris, it's around 25 minutes until Châtelet-Les-Halles. The total trip is around 35 minutes from Orly to Paris by train RER. You can't use your pass navigo even if you bought the areas 1-6, but you can use the ''Paris visit pass- area 1-6'' to travel via Orlyval. The frequency is from 4 to 7mn -Orlyval works 7 days a week from 6am to 11pm. around 35 mn (from Orly to Châtelet les halles). SCHEDULE -7 days a week- from 6am to 11pm (last departures) Orly south. Orly airport is the second busiest airport in France after Charles de Gaulle airport, and going from Orly to Paris by train can be sometimes tricky for new travelers. Orly airport is mostly used for national flights and european flights, around 70% of the destinations and possesses 2 terminals (Orly-south and Orly-west). How to go to Paris by train? Take the shuttle bus ''Paris par le train'' (Entrance F for the terminal south and entrance G arrival level for the terminal west) which stops at ''pont de rungis aéroport d'Orly'' and from there, take the RER C direction Montigny-Beauchamps (name of the train: GOTA) or direction Pontoise (name of the train: NORA). The shuttle bus + fare REC C = 6.3€ (valid on july 1st, 2010). The RER C train is the cheapest way to go from Orly to Paris. You can buy the ticket at the vendor machine at the terminal south and west, if not you can buy it onboard, it's possible to buy only the shuttle bus ticket at 2.5€. The shuttle runs every 15 minutes from 4h34am until 0h49 am, valid on september 1st, 2010. 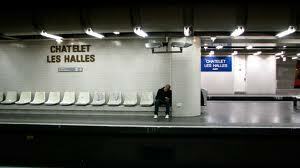 The trip will last more than 35 minutes to Châtelet-les-Halles (depending of your waiting time for the RER C). You can use also your pass navigo (zone 1-4). DIRECTION To ‘’Pont de rungis-aéroport d’Orly’’ station -Gota train toward Montigny-Beauchamp. Charles de Gaulle airport is the biggest french airport by size and number of travelers and the second largest hub for Europe. Where can I change my currency? At the airport you will find several foreign exchanges point (Travelex) to purchase or sell some euros and travelers checks. You will find also other products like western union or prepaid phone cards and also ATM machines (HSBC). Be aware that the french ATM machine works with a smart chip credit card. Where can I have some informations? You can go to the information counter or to the tourist desks on the airport, they will provide you with useful informations, maps, special tickets and passes to use for your transportation and your activities. However the tourists desks are more incline to reply to tourists questions, there are 4 spaces available and are located right after the baggages claim locations. 3 are located in terminal 2 and the last one is in terminal 1. Where can I buy tickets at Charles de Gaulle airport? You can buy your RER ticket by following the signs ''Paris by train-RER B''. you will need a smart chip credit card if not you will need some euros cash. In the ticket machine you need either your smart chip credit card or euro coins, if not you can go to the ticket office to buy your ticket. The ticket price (ticket origine-destination) is 8.70€ on july 1, 2010. Keep in mind that you need it to get out of the RER. Your RER ticket can be used for a connexion to the metro also. Be careful also to not queue in front of the long line ticket office, it's for trains for Europe or other cities in France. If you arrive by terminal 1 you will have to catch the CDGVAL to go to terminal 3 or 2 to buy your ticket. One of the options is to choose the ''CDVVAL'', this metro rail works 24 hours a day and 7 days a week and is free. It goes through the terminal T1, the PR car park, terminal 3, the PX car park until the terminal T2 in 8 minutes. The frequency of rotation is each 10 minutes from midnight to 1:00am, each 20 minutes from 1:00am to 4H30am and each 4-5 minutes from 4h30 am to midnight. To catch the CDGVAL you must follow the different signs ''CDGVAL airport shuttle'' or the footpath if you are on the cars parks. Also you have a second CDGVAL line in Charles de Gaulle airport which links terminal 2E and Satellite s3, it's also free. The Paris RER schedules times may vary from time to time, you have also a different schedule for the summer and winter, and for the week-end and public holidays, some Paris RER trains can function from monday to friday or monday to saturday, and have a special schedule for the week-end. The traffic can start as early as 4:40am for some lines and end up at 1:30am, after this hour a night transportation is available (noctilien). The Paris RER unlike the Paris metro has the particularity to join Paris with its distant suburb. You can go to Disneyland or the Charles de Gaulle airport, with the corresponding fare. You have 5 zones for the rer, you can use the ticket t+ only on the zone 1 of Paris. You can use the pass origin-destination (billet ''Ile-de-France'') or another ticket that allows you to go to the desired zone. With the pass origin-destination, the fare doesn't depend on the departure and arrival zone. It's a variable fare in this case. You can buy also a booklet of 10 tickets, then you will save 20%. You can buy a mobilis, a Paris visit pass or the '' forfait navigo'' for 1 week. You can buy tickets at ticket booths, automatic ticket machines, at metro, bus, tramway, Paris RER stations or business partners. The Paris RER is a railway network with 5 lines for a total lenght of 587 kms (365 miles), 2 different organisms are in charge of the Paris RER, the RATP and the SNCF. You may be careful when using the RER because they split on different directions, you have to know what train to catch. Each Rer owns a name. One more thing to know it's the Paris RER have connections with 4 railways stations in Paris, it doesn't go to the Paris Montparnasse and Gare de l'Est railways stations. 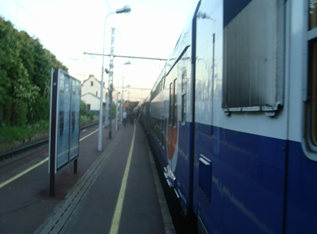 The Paris pass (Mobilis) allows you to travel within the zone chosen for an entire day, in the Iles-de-France transport network. The zone goes from the zone 1 to the zone 6 (zone 1 to zone 2, zone 1-zone 3, zone 1 to zone 4, zone 1 to zone 5, zone 1 to zone 6). You can use it to travel by metro, rer, bus, tramway, train (except filéo, voguéo), Orlyval, Orlybus, Roissybus, Orly et Roissy par RER. Mobilis doesn't give you access to the different airports (Charles de Gaulle and Orly), you may choose the Paris Visite. It's is a coupon, you have to write your last name, first name and the date on it. On the coupon it's written the zone within which you can travel. This pass is personal and can't be lent, it's also non refundable and non exchangeable. You have to validate it like other Paris pass when you use the metro, rer, tramways, bus....in Paris and its suburbs. Paris is always included in the ticket. To choose this one which fits your need, take into account your location and your tourism planning, be careful that your zones are included in your ticket. How much cost the mobilis? Where can I buy the Paris pass mobilis? You can buy it on ticket machines, at the ticket counter of stations, tramways, RER, Bus stations and from approved retailers partners, in Paris and Iles de France. The ticket t+ is sold in all outlets, RATP, SNCF Transilien, metro and tramway stations, RER stations, bus stations on the ticket office or automatic machines, 1 single ticket or a book of 10. You can also buy them in shops licensed (only by book of 10). You can't buy a ticket t+ on the bus, however you can have a pass only valid on the bus in which it was purchased. You can't make any connections at all with this pass. How much cost a Paris metro pass (ticket t+)? -Connections between métro/bus, métro/tramway, RER/bus, RER/tramway are not possible. -Rounds-trips on the same bus services line and trip interruptions to take another bus on the same line is not possible with the same pass. -The ticket t+ is not valid for Orlybus, Roissybus, Voguéo, Jetbus, Air-France shuttles, tourists circuits. -Some specific rules apply for the noctilien. -On some regulars lines, you have to validate a Paris metro pass (ticket t+) for every five sections. The basic Paris metro pass is called the ''ticket t+'' and entitles you to travel on the entire network with the métro, bus and tramway (inside and outside Paris), the RER and transilien (inside Paris). You can use it to do the following connections : métro-RER, métro-métro, RER-RER. You can use your pass to do your entire ride (except for some lines). You can do some connexions between buses, between bus and tramway, between tramways, however your ride has to be within an interval of 1h30 from the first validation to the last, if not you will have to use a second Paris metro pass. When you use your pass for the noctilien, you can't do connexions. You have to use another pass each time that you use another noctilien. The tarification is specific and based on the zones, you can use either 1, 2 or 3 tickets t+. You can use the ticket t+, however you can't do any connexion with the metro. You have to use a second Paris metro pass for the connexion. 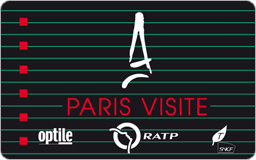 The Paris visite pass entitles you to travel within Paris and its surburbs. 1) You can unlimitedly travel on the bus, metro, RER, tramways within Paris and its nearby suburb (zone 1-3). La Défense, Bourget Air and Space Museum, the Stade de France, etc. 2) You can unlimitedly travel on the bus, metro, RER, tramways within Paris and its distant suburbs (zone 1-6). Roissy CDG RER B, Roissybus, Orlybus, Orlyval, Disneyland Paris, Versailles, etc. More, the Paris visit pass will allow you to benefit from reductions with the different partners, when showing the card. It includes a ''plan Paris Tourisme'', a card and a ticket to travel (you have to write your name on the card and the card number and the validity dates on the ticket). The starting validity date is the date that you intend to start to use it. The pass is valid for 1,2,3 or 5 consecutive days for adults and child (from 4 to 11 years old). You have to be careful because the day starts at 5:30am and ends at 5:30am the day after. Arc de Triomphe, Espace Dali, Museum of the quai Branly, The Pantheon, Opéra national de Paris, Castle of Auvers sur Oise, Fontainebleau Castle, Vincennes Castle, Disneyland Resort Paris, Grévin Museum, Cité des Sciences, Montparnasse Tower, Galeries Lafayette. The reduction can reach sometimes 30%. Where can I buy the Paris visite pass? If you buy your pass by an automatic machine, be aware that you will only have a ticket, so you will have to ask your card (associated with the ticket) to the closest informational desk. You need to have the ticket and the name card to be able to travel. How much it will cost me? from the 1rst of november 2010 (tariff in euro). The Paris Museum pass gives you the possibility to visit more than 60 museums (only permanent collections) within Paris and the suburb. 2, 4 or 6 days consecutive days. This ticket, as soon as you type the starting date on the back, is activated. The counter is by day, whatever hour you choose to start your visit. For example, If you start your visit at 4pm, it's 1 day. So it's better to activate it the morning and start your touristic visit. You are free to use your ticket as much as you want. Once it's activated, the counter runs, even if the museum is closed, this day is counted like 1 day. Where can I buy a Paris Museum Pass? One more interesting it's that you don't have to queue for visiting the museums or monuments. You will have a free and unlimited access (within the validity of the ticket) for monuments and permanent collections. If you have more questions concerning the Paris Museum Pass, or would like to buy a ticket online please visit this website.